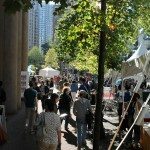 On Sept. 28, Word Vancouver celebrated its 20th anniversary as the largest literary gathering on the West Coast. 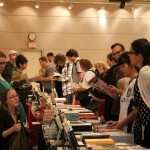 The festival showcases the best and brightest from Vancouver’s literary scene, from poetry readings on TransLink buses to bookbinding workshops and exhibitions at the Vancouver Public Library. Click through the slideshow for highlights. 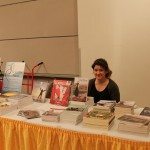 Literary Press Group, Anvil Press, <i>subTerrain</i>, and Caitlin Press exhibiting inside the Vancouver Public Library. 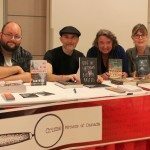 The Crime Writers of Canada table. 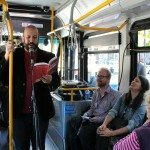 Poetry on the Bus reading by Billeh Nickerson with poet George Murray and Real Vancouver Writers’ Series’ Dina Del Bucchia. 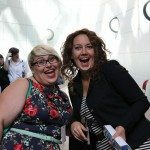 Arsenal Pulp Press marketing manager Cynara Geissler (left) with Taryn Boyd, associate publisher of Touchwood Editions and Brindle & Glass Publishing. 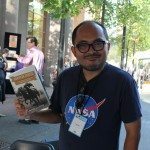 Kevin Chong with his 2012 memoir <i>My Year of the Racehorse</i>. 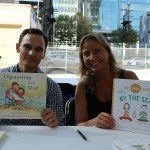 Authors Willie Sellars and Kathy Beliveau. Publicist Andrea Routley at the Caitlin Press booth. Outside the Vancouver Public Library.